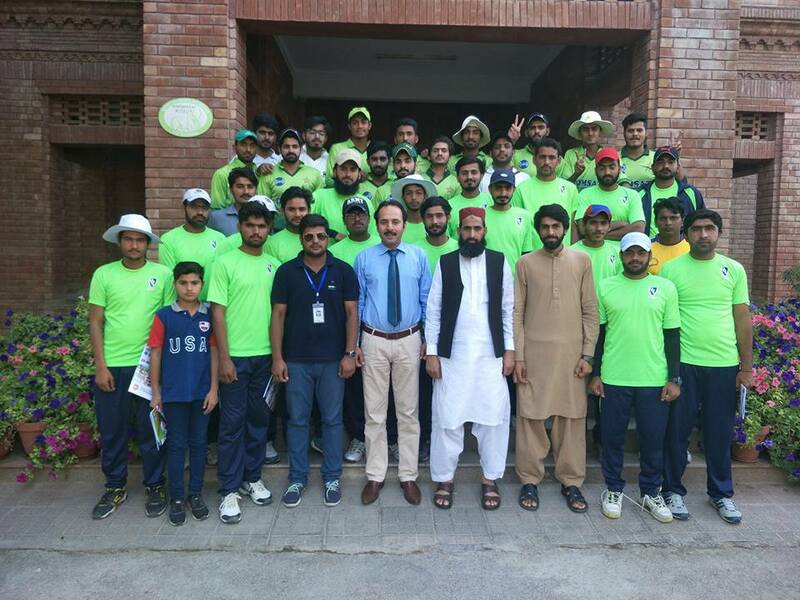 In order to promote sports activities, COMSATS Sahiwal Sports Committee arranged a friendly Cricket Match at COMSATS Sahiwal between COMSATS Sahiwal and University of Lahore (UOL), Pakpatan teams. 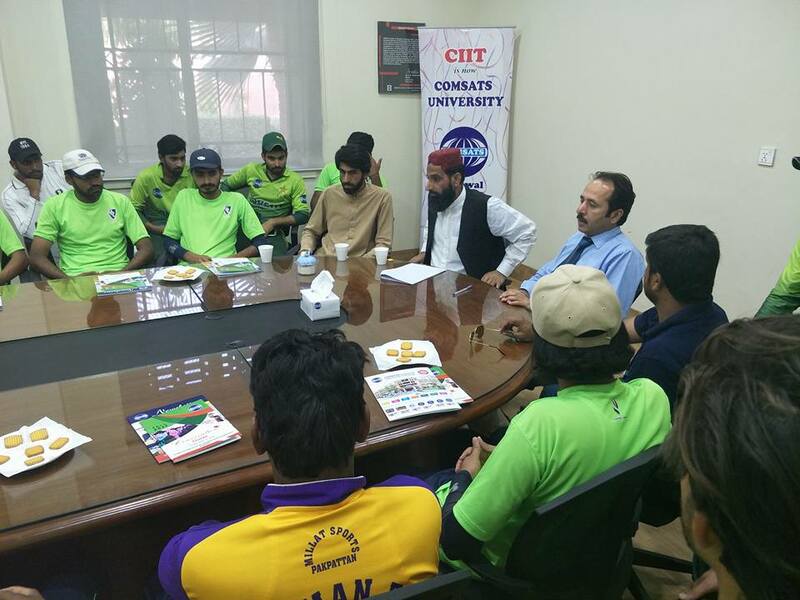 Mr. Safdar Ali, Depty Registrar, Dr. Hafiz Muhammad Arshad, Convener Sports Committee, Mr. M. Asim Noon, Cricket Incharge, Mr. Moazzam Ali, Hafiz Yasir Ali, Mr. Qaiser Ali, Sports Official, COMSATS Sahiwal and Mr. Arslan Faheem, Sports Officer, UOL were among supporters of both teams. Both teams played well. COMSATS Sahiwal team won this match with 80 runs. Refreshment (Lunch and tea) was served to both teams. Special thanks giving meeting was arranged in Conference Room which was chaired by Mr. Safdar Ali, Deputy Registrar, COMSATS University Sahiwal. The participants were briefed about COMSATS, its history, achievements, ranking, academic programs and scholarship opportunities. 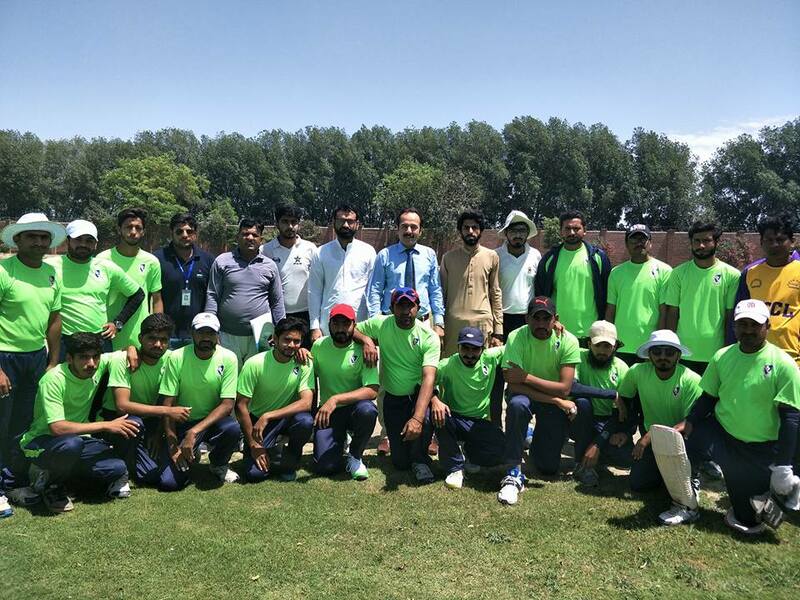 The session ended up with group pose with both teams and their officials.